Cozy huts, privately tucked into the woods. If you like the idea of falling asleep under the stars and roasting marshmallows around a campfire, but the hassles of pitching a tent and sleeping on bumpy ground just don’t do it for you, then glamping, the new term being used for upscale — or glamorous — camping, could be your ideal vacation. Wild Yough is proud to introduce glamping to the beautiful mountaintop playground of Garrett County, Maryland. “Yough” is short for Youghiogheny River, a state designated wild and scenic river which runs through the heart of the property. The owners of Wild Yough split their time between this property and their home just outside Amsterdam in The Netherlands. They have stayed in many glampgrounds across Europe and Africa and are bringing those experiences, combined with a down-to-earth, Appalachian twist, to Wild Yough Glamping Huts. Glamping Hut Uzes on a sunny spring day. The idea is simple- our glamping site will offer a true camping experience without all the hassles and fuss. With 350 acres of private ground, adjacent to thousands of acres of state park and forest, Wild Yough offers plenty of space to spread out, stretch your legs, watch the deer, and howl with the coyotes. You won’t be packed into a row of RV’s or tents where you can hear your neighbor snoring. You won’t have to set up camp in the rain. And you’ll never have to sleep on the ground! 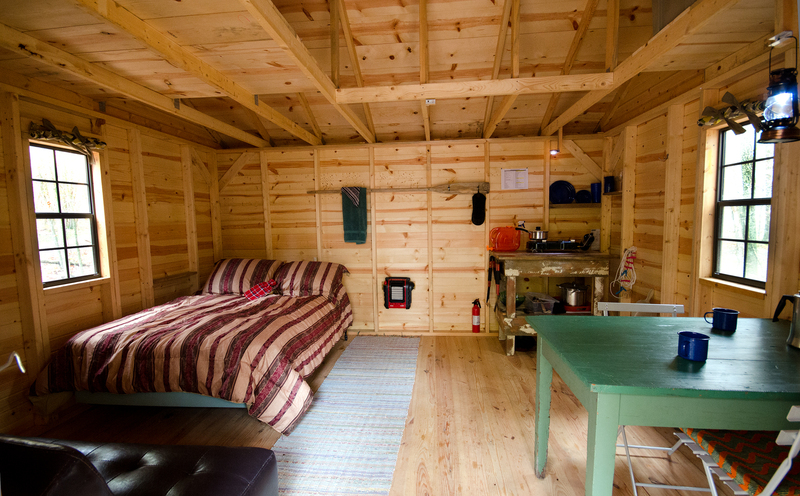 You’ll have your own heated hut, warm soft bed, and private space for long evenings around the campfire. And our bathhouse and pavilion facilities are designed with comfort, cleanliness and relaxation in mind. We invite you to spend some time and explore our site, and better yet, book a vacation at Wild Yough and experience glamping first hand. Bright, clean, and comfortable interiors. Double bed, dinning table, camp kitchen, and fold out couch (double). Each hut is equipped the same, but has it’s own style. Recreation pavilion and bath house, never far from any hut. Great place for gathering and socializing with other Glampers. Youghiogheny River Scenic corridor runs through the property. Relax after the hike to the river with easy access to the water for you and your pets. Garrett County is one of my favorite places. This sounds like a wonderful alternative to a huge sprawling house or a motel room. Can’t wait to try it! Thanks Cheri! We love Garrett County as well. We can’t wait to see you at Wild Yough Glamping Huts. Thank you for the pallet today, good luck, looks like a great place!!!! Hello Margaret – We’re still working on the website and really appreciate the feedback. Pricing and interior photos are available on the links to the reservations page, but I’ll look at adding them into the main site as well. Could not find reservation page or pics for “Glampground.” Was really interested in seeing what this place had to offer, but this website is not user friendly. Moving on to a new search. Hi Shannon – Maybe your browser isn’t rendering the site properly. There is a drop down menu at the top right of the site with links to all of the Glamping huts and tipi as well as pictures of the overall site and a map of the full 400 acre property. There is also a link to the reservations page, which is managed by our partner Offlake Rentals. http://www.offlakerentals.com (search for glamping). Please let me know if you still have difficulty with the site and what browser you are using so that I can make any adjustments needed to the code. Thanks! Hello! Your cabins look great. Were they built custom or locally? 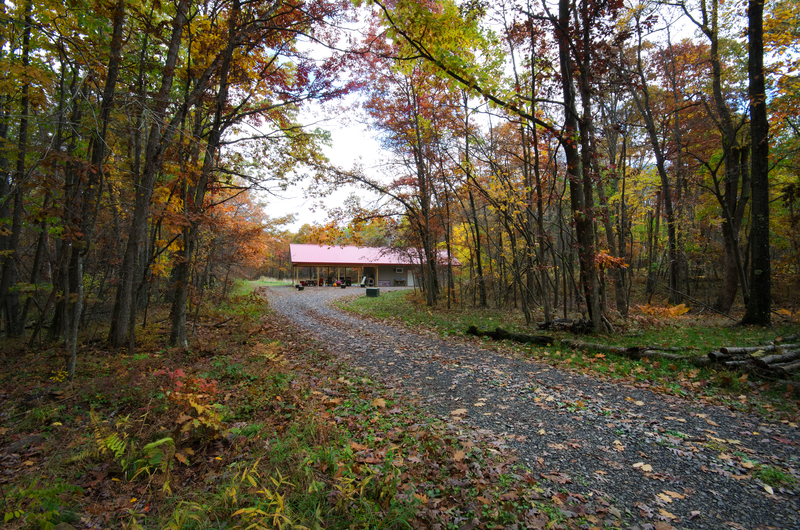 We vacation in Garrett county and will add your cabins to our list of places to stay!! Thanks! The huts were custom designed and built by a company from Ohio. We wanted solid wood instead of plywood or pressed board so that they are as nice on the inside as they are on the outside. We’d love to have you come out and stay with us. Do you have any with bathrooms/toilet? Hi Warren – There are no huts with bathrooms. The central bath house and recreation pavilion serves all of the huts.